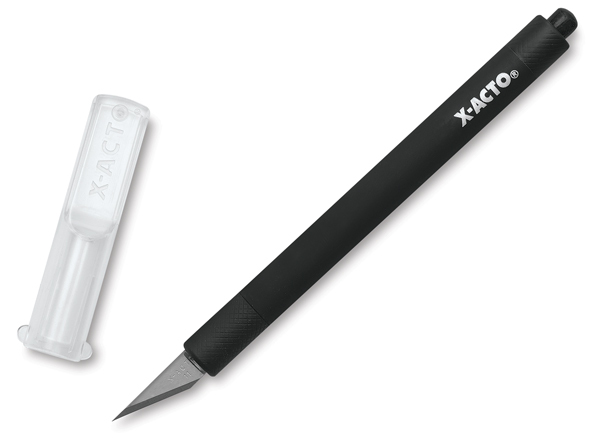 A built-in LED on the X-Acto X-Light Knife makes precision cutting easier than ever. Simply press the button on the dull end of the barrel to illuminate your project without the need for a task lamp. The X-Light has a Black soft-grip shaft and holds a classic No. 11 blade.